Hi there! 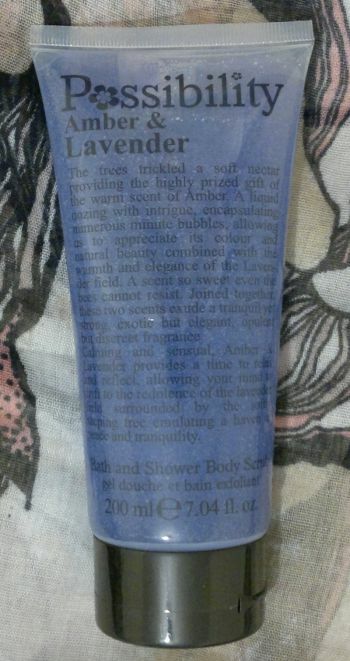 Today’s post is about Possibility’s Amber & Lavender Bath & Shower Body Scrub. This product has been sitting in my stash for quite some time. But I enjoyed the matching shower and bath gel, so I thought it’s time to give this body scrub a try. I’ve been using this body scrub on and off for over 2 weeks now, and have to say that I really like it! The formula is very interesting – possibly unique! It’s a transparent gel that feels lightweight and stiff at the same time. I really like the amber and lavender fragrance. It’s surprisingly elegant, and it reminds me of some of Imperial Leather’s dreamiest shower gels. The exfoliating effect is noticeable but gentle. This product is definitely suitable for daily use. Possibility’s Amber & Lavender Bath & Shower Body Scrub is available as 200ml. I paid 99p (bargain store – but not sure which one). Hi there! Today’s post is about Yves Rocher’s Organic Raspberry Exfoliating Shower Gel. This product contains fruit seeds and ground apricot stones. These exfoliants are 100% natural. And the raspberry extract is organic! I’ve been using this product twice a week for a few weeks now, and I like it! The raspberry fragrance is sweet and natural. And the exfoliants do a great job. Thanks to the shower gel formula, this product doesn’t just exfoliate, it also cleanses the skin properly. This product mops the floor with those hard to spread and sticky sugar scrubs! 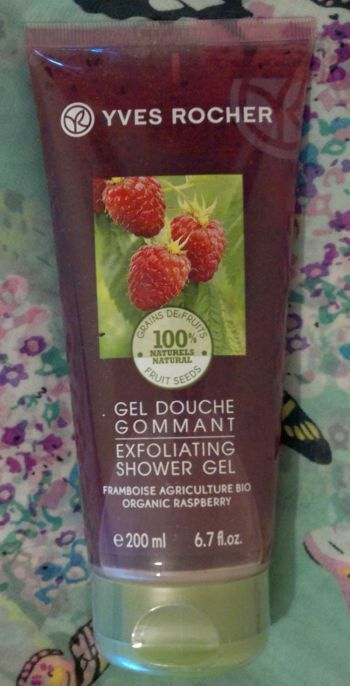 Yves Rocher’s Organic Raspberry Exfoliating Shower Gel has been discontinued. Whilst Yves Rocher continues to make exfoliating shower gels, the raspberry fragrance has been replaced with a raspberry & peppermint fragrance. Let’s start with Boots Extracts Luscious Vanilla Body Scrub! 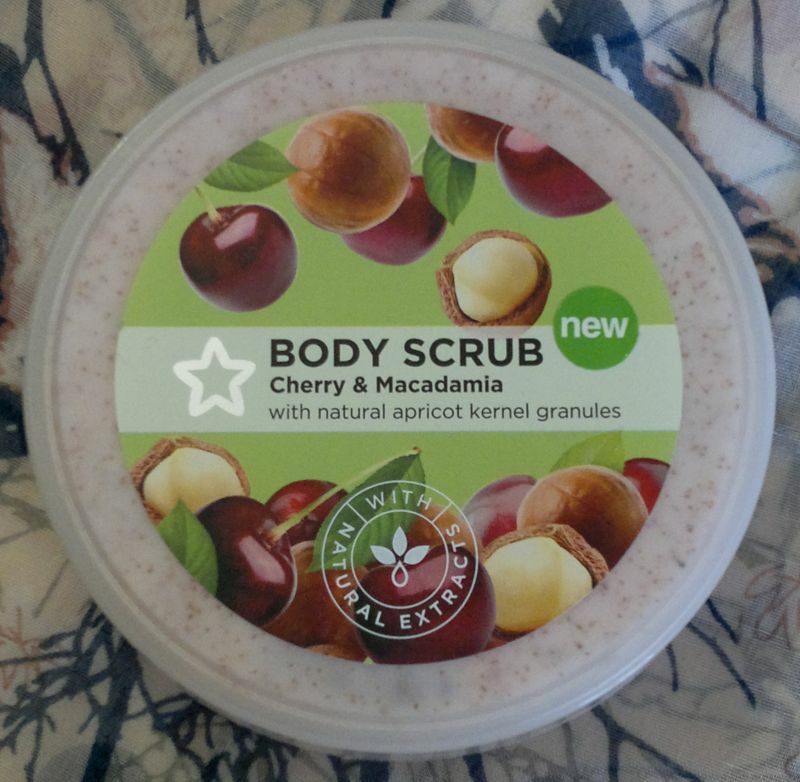 I’ve tried a number of body scrubs from Boots, and this one is quite similar. This means that this scrub is on the gentler side. I’m satisfied that it exfoliates my skin, but I prefer grittier scrubs for my body. Having said that, I think this body scrub smells awesome! Up next is Boots Extracts Luscious Vanilla Body Wash! I think this is a nice shower gel. It smells lovely and it’s not drying. Boots did a great job with this one. 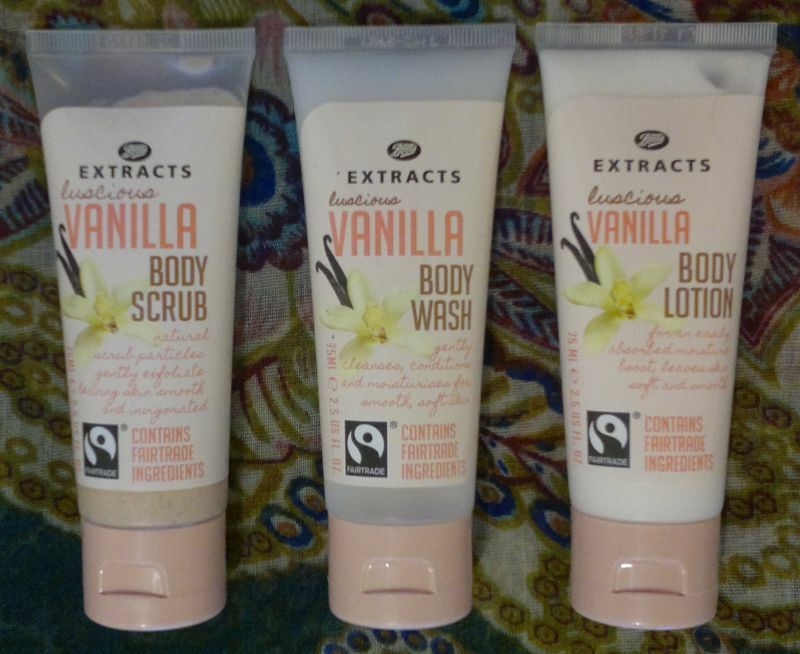 Onto Boots Extracts Luscious Vanilla Body Lotion! This is a great little body lotion for when you’re in a hurry. It’s absorbed in no time, and it makes skin feel soft and hydrated all day. And the sweet and cuddly fragrance is an added bonus. 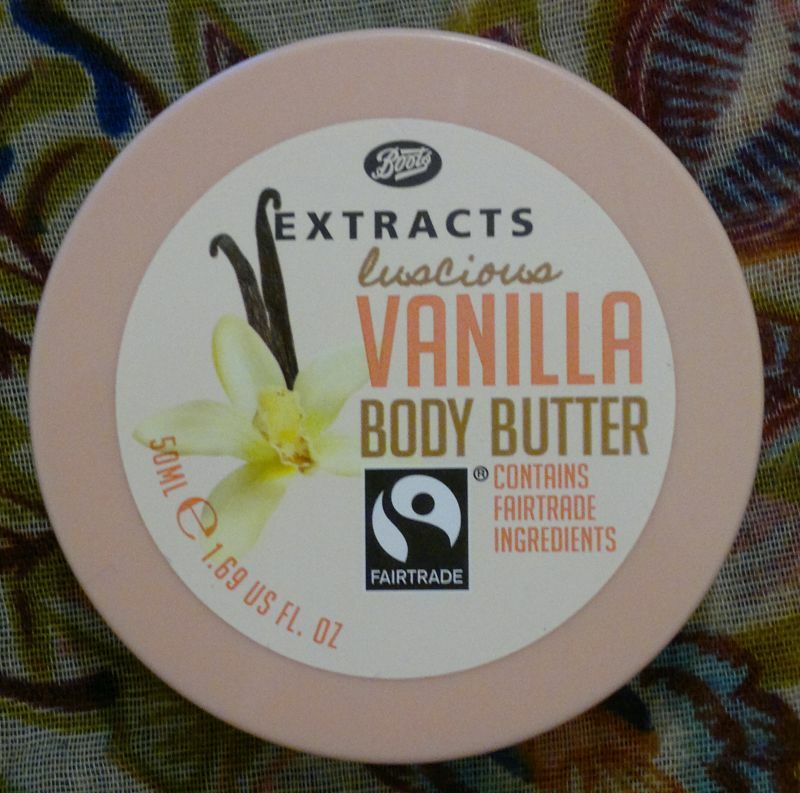 And last but not least… Boots Extracts Luscious Vanilla Body Butter. This is, without doubt, one of the best vanilla body butters out there. It feels nourishing, it’s not tacky at all, and, you guessed it, it makes your skin smell delicious! Well done, Boots! Boots’ Extracts collection seems to be disappearing from the stores. The manager at my local store told me the entire line is getting a makeover. Let’s hope this is true! Hi there! 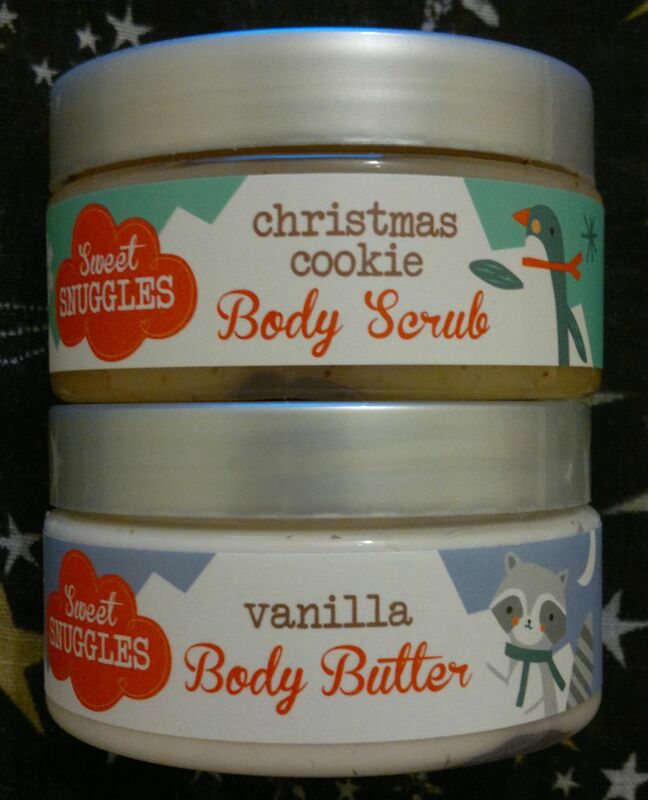 Today’s post is about 2 Christmas-themed body products – Sweet Snuggles Christmas Cookie Body Scrub & Sweet Snuggles Vanilla Body Butter. These products were part of a small gift set which I bought last year. I spotted the exact same gift set at Superdrug just a few days ago. So I decided to give these products a try! 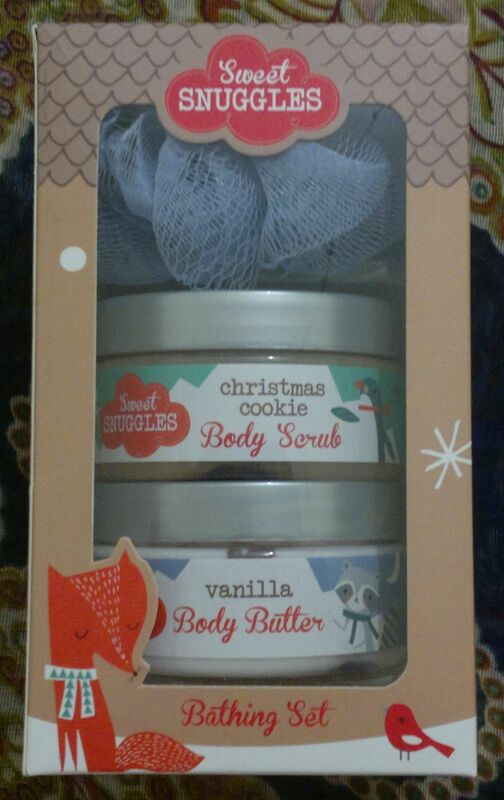 Sweet Snuggles Christmas Cookie Body Scrub smells like… Christmas cookies! The scrub itself is nice as well. It’s easy to spread, it’s not too harsh, but it’s effective! Sweet Snuggles Vanilla Body Butter is lovely. The body butter is very rich, and the fragrance is the sweetest, warmest and cuddliest spicy vanilla. Fantastic stuff! Sweet Snuggles Christmas Cookie Body Scrub & Sweet Snuggles Vanilla Body Butter are available as part of Superdrug’s Sweet Snuggles Bathing Set which I saw on sale for £3.50 the other day. The body scrub and the body butter are 100ml each. I think this scrub is quite effective. It makes my skin feel super soft – almost polished! But don’t worry, this scrub isn’t too harsh, and it certainly doesn’t cut my skin. 🙂 The cocoa and vanilla fragrance is very nice. It’s sweet and cuddly, and it’ll be perfect for the colder seasons. 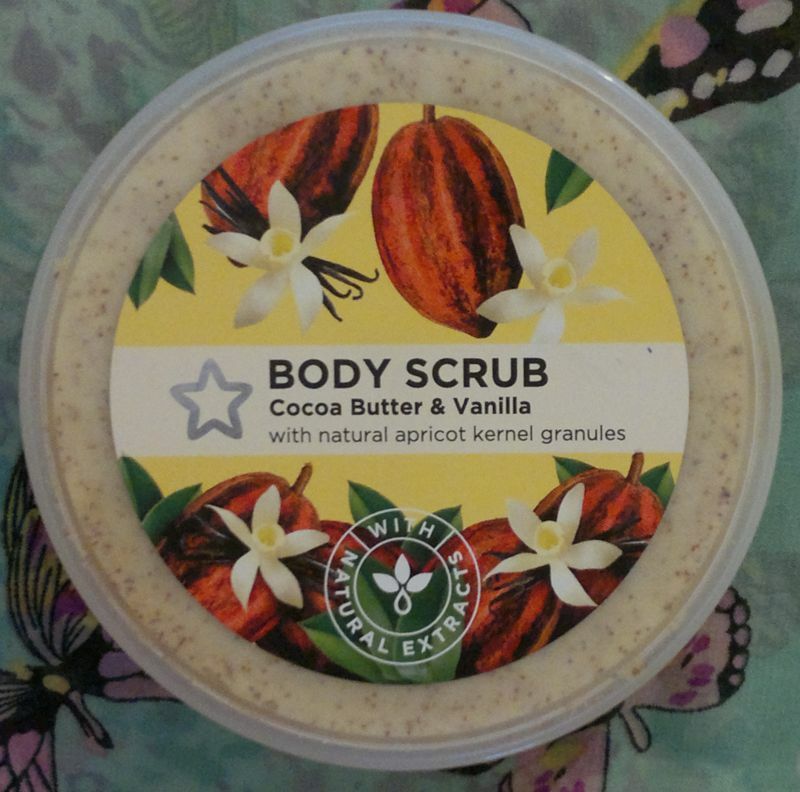 Superdrug’s Cocoa Butter & Vanilla Body Scrub is suitable for vegans. The product is also 100% cruelty-free. If you’d like to try the scrub, it’s available as 200ml for £4.99. But don’t miss out on deals – Superdrug does half price and BOGOF deals very often. Hi there! Today’s post is about 3 Boots Extracts products – Boots Extracts Luxurious Coconut Body Scrub, Body Butter and Body Wash. These 3 products were part of a large Christmas-themed gift set that contained several products from four different Boots Extracts product lines (Marshmallow & Peppermint, Mango, Vanilla and, obviously, Coconut). Now let’s get straight to the actual review! The Body Scrub was the first product I tried. Just like all the other Boots Extracts scrubs, this one is quite alright. It could be a little grittier, but it’s still a good product. I also like the coconut fragrance because it’s rather subtle. The Body Wash is really nice. I like the moisturising formula and, again, I’m happy with the subtle coconut fragrance. The Body Butter is truly great. It’s rich, but it feels light. It’s very nourishing, but it’s not sticky. It makes my skin feel soft and silky, but it doesn’t feel like “product” on my skin. This body butter is subtly scented – which is fantastic because I think the majority of coconut fragrances are just overwhelming. So I think Boots did a great job with this body butter. And, of course, Boots did a great job with the body wash and the body scrub too. I would recommend these products! 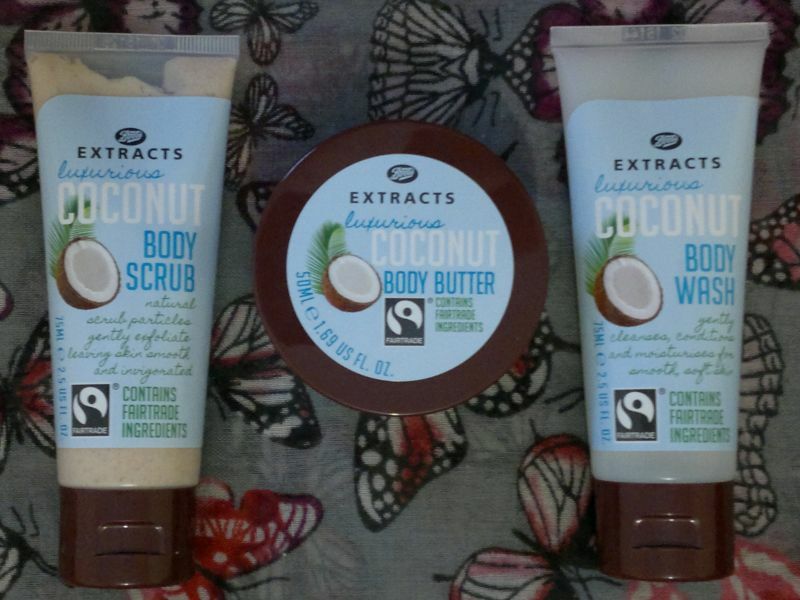 Boots Extracts Luxurious Coconut is available as 400ml Scrub for £6.50 and 200ml Body Butter for £6. It appears that, at the moment, the shower gel isn’t part of the regular collection. However, if you really want the shower gel, you should keep an eye on special occasion gift sets (Christmas, Mother’s Day etc. ).